This Marquise diamond is 0.3 carat in weight, and comes with Very Good polish and Very Good symmetry, as verified from an independent gemological laboratory. The diamond is graded E in colour, and has a clarity grade of VVS2. The diamond's GIA grading report number is 7283806710, which will detail further its specifications and measurements, and will also come with the purchase of the stone. This Marquise diamond is 0.3 carat in weight, and comes with Very Good polish and Very Good symmetry, as verified from an independent gemological laboratory. The diamond is graded E in colour, and has a clarity grade of VS2. The diamond's GIA grading report number is 6302024840, which will detail further its specifications and measurements, and will also come with the purchase of the stone. AUD 1,437 Excl. Duties / Taxes. This Marquise diamond is 0.38 carat in weight, and comes with Very Good polish and Very Good symmetry, as verified from an independent gemological laboratory. The diamond is graded E in colour, and has a clarity grade of VVS1. The diamond's GIA grading report number is 7308523255, which will detail further its specifications and measurements, and will also come with the purchase of the stone. This Marquise diamond is 0.34 carat in weight, and comes with Good polish and Very Good symmetry, as verified from an independent gemological laboratory. The diamond is graded E in colour, and has a clarity grade of SI1. The diamond's GIA grading report number is 6301299183, which will detail further its specifications and measurements, and will also come with the purchase of the stone. This Marquise diamond is 0.35 carat in weight, and comes with Excellent polish and Very Good symmetry, as verified from an independent gemological laboratory. The diamond is graded E in colour, and has a clarity grade of VVS1. The diamond's GIA grading report number is 7298490352, which will detail further its specifications and measurements, and will also come with the purchase of the stone. AUD 1,627 Excl. Duties / Taxes. 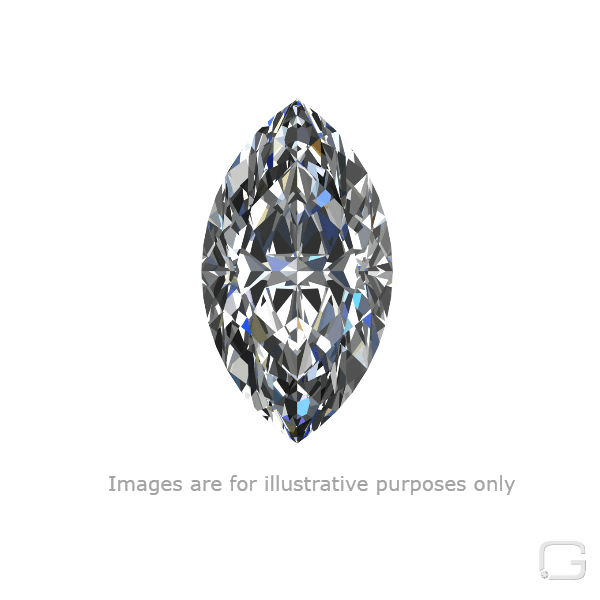 This Marquise diamond is 0.44 carat in weight, and comes with Good polish and Good symmetry, as verified from an independent gemological laboratory. The diamond is graded E in colour, and has a clarity grade of SI1. The diamond's GIA grading report number is 6127407216, which will detail further its specifications and measurements, and will also come with the purchase of the stone. AUD 1,141 Excl. Duties / Taxes. This Marquise diamond is 0.3 carat in weight, and comes with Excellent polish and Good symmetry, as verified from an independent gemological laboratory. The diamond is graded E in colour, and has a clarity grade of VVS2. The diamond's GIA grading report number is 6312262338, which will detail further its specifications and measurements, and will also come with the purchase of the stone.